WE'RE A FULL-SERVICE PLUMBING PROVIDER. NO MATTER HOW SMALL OR HOW LARGE YOUR PLUMBING PROBLEM, WE HAVE YOUR SOLUTION.With close to a decade of professional leak detection and plumbing experience Leak Hunters is prepared to detect, locate, and repair any plumbing leak you may have in your home or swimming pool. Repairs are made simple because we are equipped with the latest in non-invasive electronic leak detection technology. Proudly serving the Valley for over 30 years! A family-owned and operated plumbing business, we do new construction, service and repair work, and, our specialty, custom remodels. 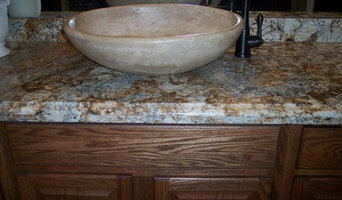 Let us help you with all your plumbing needs, and check out our website for more information! Our long time experience with the homes in this area is a great advantage when planning any project. Whether you’d like to add on, remodel, enclose a carport, replace old windows ,etc we have the staff to take care of it for you. From the owner of the company down to the field Technicians and helpers, everyone at Champion Plumbing and Rooter Services is passionate about what we do. At Champion Plumbing and Rooter Services, we pride ourselves on creating a memorable experience for every client at every service call. We deliver the experience and professional knowledge to provide the workmanship and expertise that each of our clients deserves. 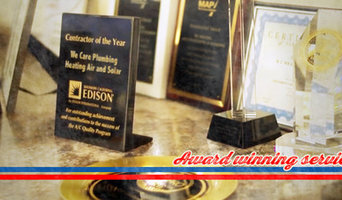 At Champion Plumbing and Rooter Services we strive to always follow our company values show every client why we are the finest Plumbing Company in the Valley. With over 30+ years of plumbing heritage, we’ll get the job done right for you the first time, 24 hours a day. We realize that having a plumbing problem is not a pleasant experience and we do our best to get our clients homes and lives back to normal as quickly as we can. We will explain the issue to you in an easy to understand way, give you options for fixing it and help you select the one that is best for you and your home. Our field professionals offer a large variety of Plumbing and Drain Cleaning Services prepared to accommodate any situation. We know the residents in the Phoenix Valley have many choices of Plumbing Companies they can call so we truly appreciate every customer that chooses Champion Plumbing and Rooter Services. For years we have provided homeowners and contractors throughout Phoenix and beyond with plumbing services and completed it on time, within budget and with the highest quality. Our core team has more than 125 years of combined experience in all aspects of new construction plumbing, as well as residential remodel, repair, replacement and warranty services. We are committed craftsmen and are honored to serve some of the largest homebuilders and developers in the Valley including Shea, Lennar, Fulton and Ashton Woods to name just a few. 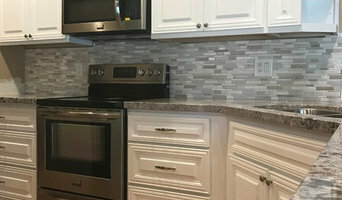 No other plumber in Phoenix offers better plumbing repairs than Phoenix Plumbing & Drain Co. No one else has our low prices matched with fast and reliable customer service. We get there right on time and in under 60 minutes. 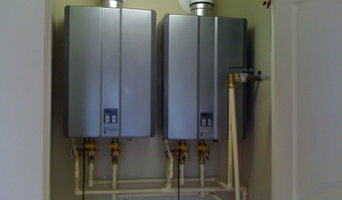 We provide the only quality and reliable emergency plumber repair and our plumbers are knowledgeable, friendly and honest. We have tremendous amounts of experience and can do anything such as drain cleaning, hot water heater repair, electronic leak detection and sewer line repair. 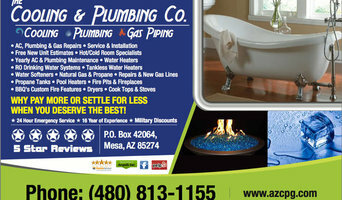 All of it a low prices that will amaze you but keep your Phoenix home's pipes and drains running right!